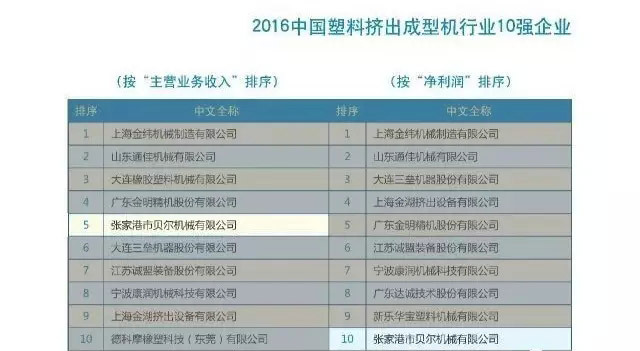 China Plastics Machinery Industry Association released the latest excellent enterprises in Chinese plastic machinery industry 2016. Beier Group is located in national economy development zone, Zhangjiagang city, Jiangsu province, the headquarter have 60000㎡ office building and high standard workshops with 340 well trained professional employees. By the company’s philosophy “Quality is our foundation, Credibility is our faith, Aspire for win-win”, team of Beier have clear goal and dedicate to development of technology and quality. 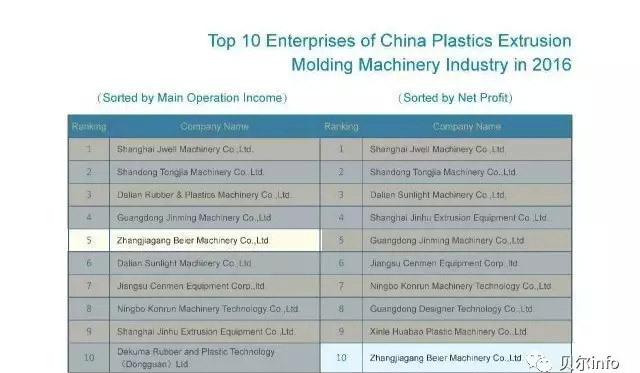 Now we are ranked as the top 5 plastic extrusion machinery corporation in China. 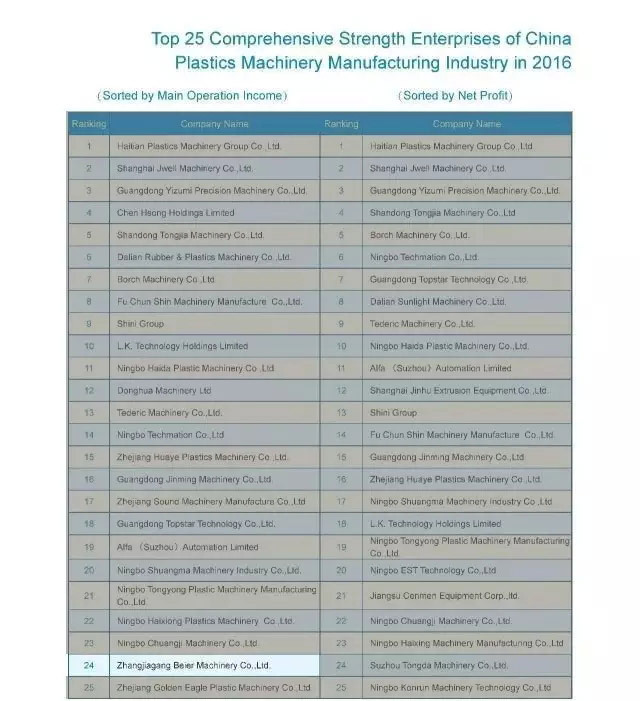 The champion of exporting in Zhangjiagang for 9 years-in-a-row. Our products served hundreds of plastic companies over 80 nations and regions worldwide, generated great value for our client to develop business in different field. 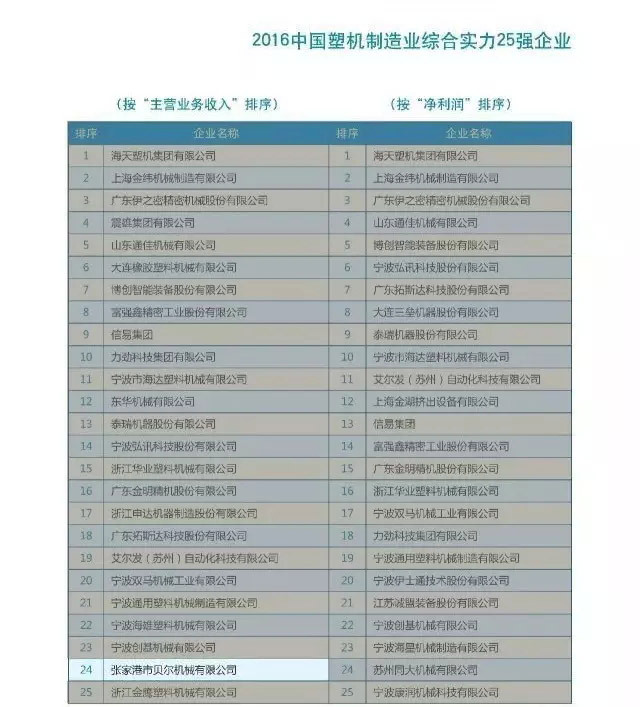 Beier Group is awarded as National high & new technology enterprises, national Torch Program enterprises, provincial famous trademark, provincial contract and trustworthy enterprise.